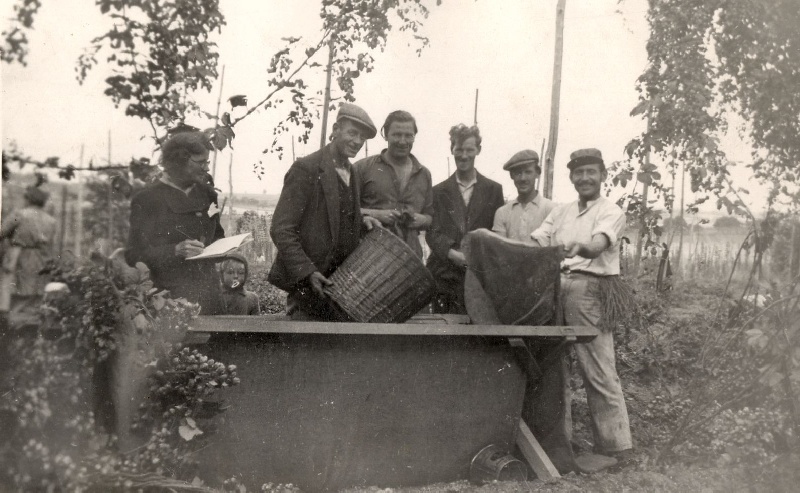 This photo shows Charles Simmons holding the measuring basket at a bin. The booker on the left is Mrs Huxford. I am assuming the two people to the right of Charles are the pickers whose bin is being measured. The two on the extreme right are the binmen who hold the pokes as they are being filled. You will note the short lengths of string at the binman's waist. These are hop string and would be used for tieing the pokes when filled. 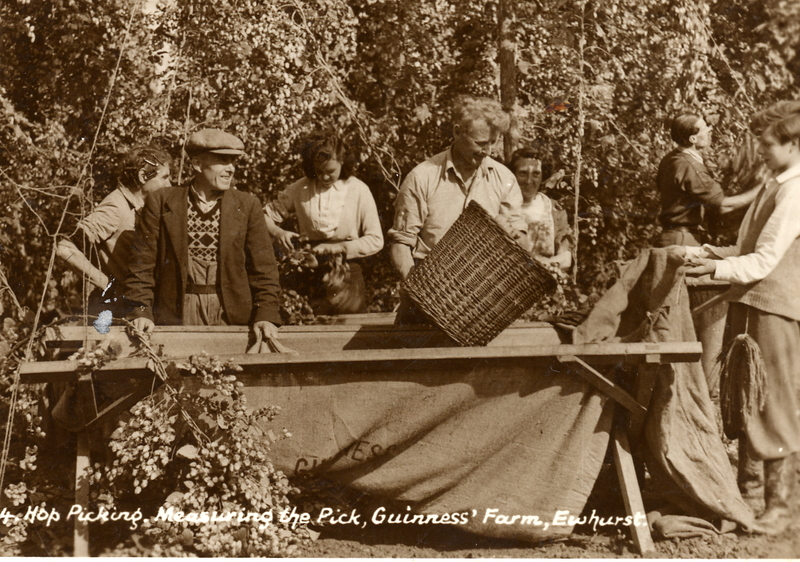 This photo shows Peter Knapp measuring from a pickers bin. 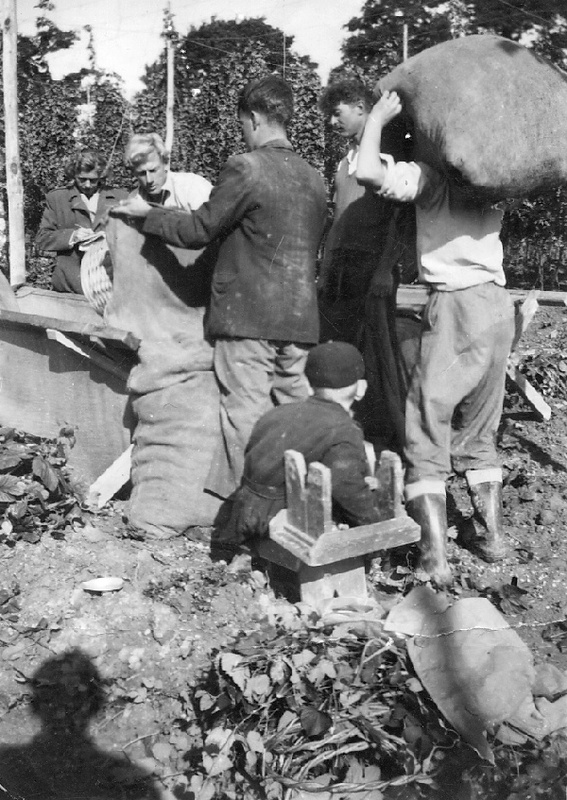 You can see the booker in the background recording the number of bushels (a bushell basket was used) picked. 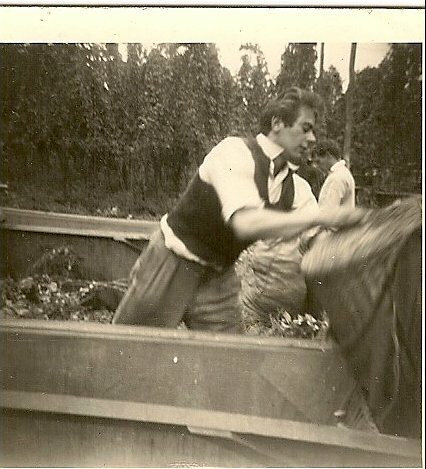 The measured hops were put into pokes held by the binmen. A poke normally held 10 bushels. The pokes were then loaded on to a trailer for delivery to the oast.